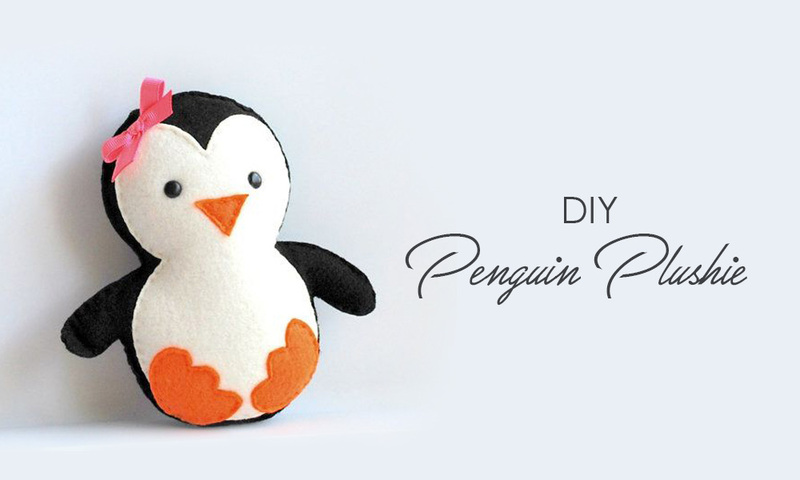 This sewing pattern shows you how to sew a very cute Penguin doll. Step 1: Start by downloading the Penguin Pattern. Step 2: Sew the white front body piece onto one piece of the black body piece. Use your picture for direction. Step 3: Sew your feet pieces together. Make sure to stitch on the outside. Step 4: With the white section facing inwards sew the two black body pieces together. Sew the feet in place as you go (make sure the feet are facing inwards). Leave a gap down one side for turning – approximately where the wing will fall. Step 5: Fill the body with toy fill and stitch up the gap. Step 6: Stitch your wing pieces together but leave a gap for turning. Once turned – do not stuff. Step 7: Stitch up the gap and stitch in place (the curved edge goes to the back). Step 8: Stitch the wings to the Penguin’s body. Step 9: Stitch the beak in the same way as the feet with the stitching on the outside. Step 10: Stitch your face features on using the picture for direction.